Topical annotation of documents with keyphrases is a proven method for revealing the subject of scientific and research documents. However, scientific documents that are manually annotated with keyphrases are in the minority. 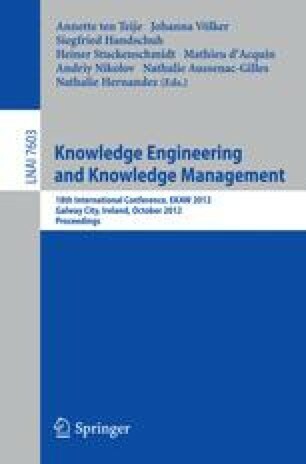 This paper describes a machine learning-based automatic keyphrase annotation method for scientific documents, which utilizes Wikipedia as a thesaurus for candidate selection from documents’ content and deploys genetic algorithms to learn a model for ranking and filtering the most probable keyphrases. Reported experimental results show that the performance of our method, evaluated in terms of inter-consistency with human annotators, is on a par with that achieved by humans and outperforms rival supervised methods.